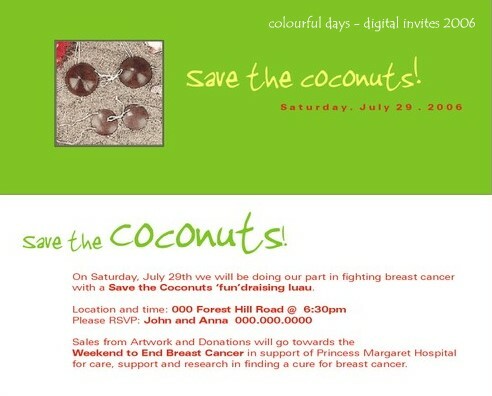 I've recently offered to do some invitation designs for people that don't live around me. The digital version just works easier! 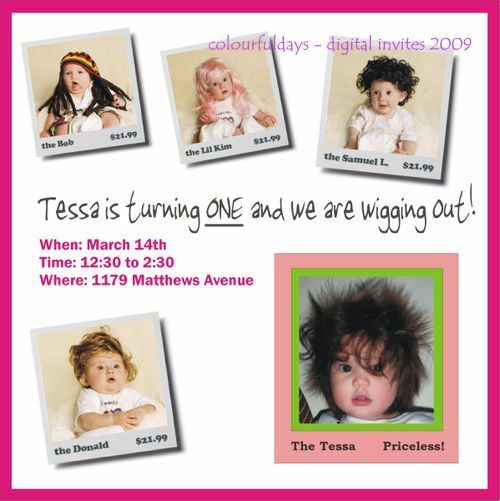 Tessa is a girl that was born with crazy hair... and now as a two year old, she could compete very well with any pantene hair models! 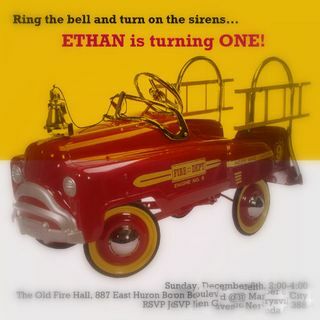 This one is for a little boy who is going to have a great little party at a local fire hall! And his mom has an infinity for all things retro and vintage! and this one for a party I hosted! It was as much fun as it looked.